Switzerland will not extradite Anna Gabriel, a Catalan leader facing criminal charges in Spain for pursuing independence, if the offenses for which she is being prosecuted are regarded as political. And as a spokesperson of the Swiss government told Catalan News, this is exactly what news reports suggest. Gabriel, a former MP of far-left CUP, was summoned to appear in the Spanish Supreme Court in Madrid on Wednesday. Some weeks ago, she traveled to Switzerland to prepare her defense. On Tuesday, just a day before the hearing, she told the Swiss press that she was not traveling back to Spain. Instead, she was planning to stay in the country because she did not trust the Spanish justice to offer her a fair trial. “Anna is not escaping. She is seeking refuge from political persecution. Just like many other people do on our planet,” said Benet Salellas, Gabriel’s lawyer and party colleague. The question now is how will Spain respond. The Swiss government confirmed that no Spanish request has been submitted to the Federal Office of Justice, but Spain’s Attorney General and the Supreme Court could decide to start the extradition process anytime. Gabriel’s case draws many parallels with that of Carles Puigdemont, Catalonia’s president, in Brussels since October. After weeks of wrangling with Belgian courts, the Supreme Court ended up withdrawing an international arrest warrant over concerns that the extradition process might interfere with the investigation in Spain. Gabriel is no longer a member of the Catalan Parliament. Still, she remains a very influential leader. 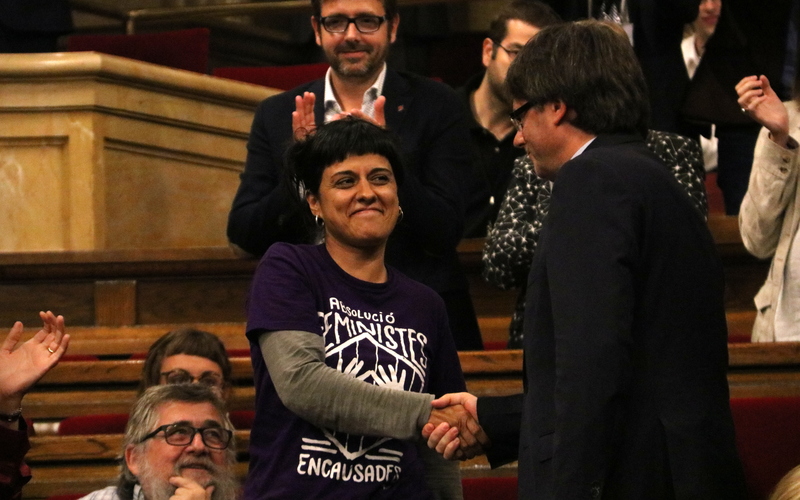 In the past few years, Gabriel became one of the dominant figures in Catalan politics. CUP has only a few seats in parliament, but it is enough to make it the kingmaker that secures a pro-independence majority in the chamber.